Curfew in four districts of Kashmir and parts of Srinagar city were lifted on 23 July. The curfew remained in force in the rest of the Valley as a precautionary measure. Union Minister Rajnath Singh arrived in Srinagar on 23 July to review the law and order situation in the Valley. 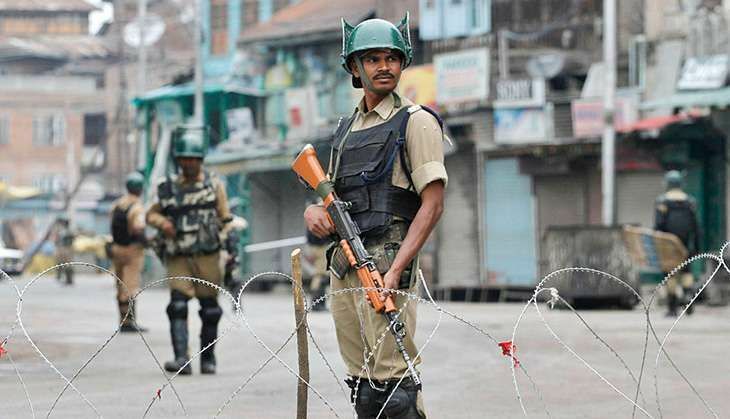 "Curfew has been lifted from Bandipora, Baramulla, Budgam and Ganderbal districts and some parts of Srinagar city in view of the improving situation in these areas," a police official said. However, the official said that restrictions on the assembly of four or more people under Section 144 CrPC will continue in the areas where curfew has been lifted. He said curfew remained in force in Anantnag, Kulgam, Kupwara, Pulwama and Shopian districts of the Valley and eight police station areas of the city. The situation across the Valley is peaceful so far. Life in Kashmir has been paralysed since July 9, a day after Hizbul Mujahideen commander Burhan Wani was killed in an encounter with security forces. Fresh clashes broke out between protesters and security forces in Kashmir on 22 July after Friday prayers, killing one youth. As many as 45 persons have been killed and over 3400 others injured in the violent clashes between protesters and security forces following Wani's killing. Meanwhile, Rajnath Singh is scheduled to meet with J&K CM Mehbooba Mufti and Governor Narinder Nath Vohra during his visit. Singh will also meet state officials, meet civil society, political leaders and members from the trade fraternity. During the visit, Singh will be accompanied by the Directors General (DGs) of paramilitary, Central Reserve Police Force (CRPF) and Indo-Tibetan Border Police (ITBP).